For the most of us, Neosporin has been the go to remedy for cuts, scrapes and wounds. But what are the other alternatives to Neosporin? In this article we take a look at some other options you can consider the next time you get a minor burn or cut. So if you’re allergic to the product, or want something natural to use, here are some good choices. 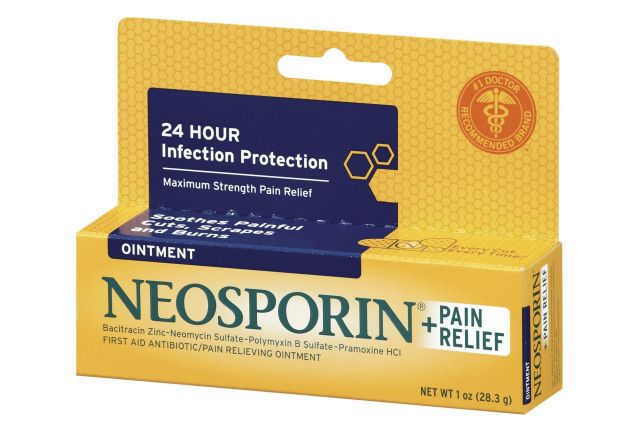 Neosporin is a topical antibiotic medication produced by Johnson & Johnson. Its main purpose is wound care. It comes in a small squeeze container and can be purchased in cream or ointment form depending on which one you prefer. Neosporin is used to treat scrapes, cuts and minor burns. It isn’t designed to treat large wounds or deep cuts. Its formula is designed to prevent the area from getting infected as well. It does by stopping bacterial growth in the affected area, with ingredients like polymyxin B, bacitracin and neomycin, all of which are antibiotics. 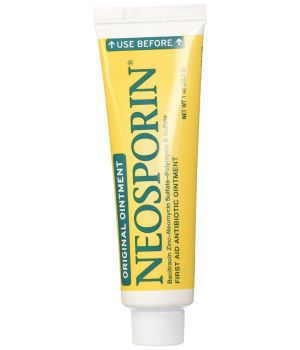 Neosporin is mainly used for anti-bacteria purposes and isn’t effective against other kinds of skin infections like viruses and fungi. The brand began with only one main product. Today, it offers a variety of wound care options along with other types of medication like that for eczema and lip care. Now that we know what it does, here are some alternatives. 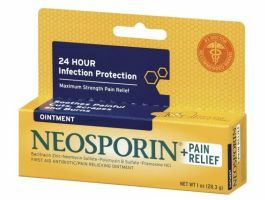 The closest alternative to Neosporin is Polysporin. After all, it’s created by the same company that makes Neosporin. Polysporin is both sold in the U.S. and Canada. It’s mainly used as a topical antibiotic ointment or cream. Like its brother, it’s an anti-bacterial used to treat minor wounds, scrapes and burns. Where the two products differ is their ingredients. 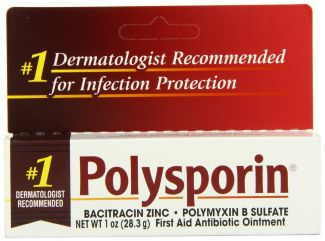 Polysporin is designed for people who are allergic to neomycin, one of the antibiotics in Neosporin. Polysporin doesn’t contain this ingredient. Instead, it’s active ingredients are polymyxin B, bacitracin and occasionally garamycin or gramicidin. Long before any of the modern brands came along, iodine was used to treat wounds. In fact, if you’ve ever gone under the knife or seen the medical shows on TV and movies, iodine is the orange-reddish solution doctors swab over affected areas before operating or treating it. This product is an antiseptic, which prevents the wounded area from getting infected. 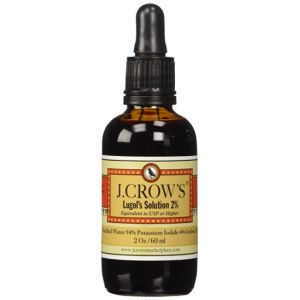 These tinctures usually contain between 2% to 7% elemental iodine, along with alcohol and sodium iodide. The ingredients are dissolved in water. This medication is a blast from the past. If you’re under 30, you’ve probably never heard of this stuff. But ask your grandparents about it, and they’ll know for sure. Mercurochrome comes in a reddish liquid color. It’s applied over the wound to prevent infection. This product was very common a few decades ago, but isn’t common nowadays. It’s can be a bit difficult to find. The reason for this is that Mercurochrome is that in 1998, the U.S. Food and Drug Administration (FDA) reported that Mercurochrome was “not generally recognized as safe and effective” as an over the counter antiseptic. As such, it forbade its sale across state lines. Generically known as merbromin, Mercurochrome contains mercury which is known to be toxic to the human body when you are exposed to a large enough amount. This is why it isn’t readily available in the U.S. The product also isn’t sold in countries France, German and Switzerland. It is however, readily available in most other countries. A good number of doctors sometimes still prescribe this for wounds. If you’re looking for something made from natural ingredients instead of manufactured in labs, here’s our top pick. 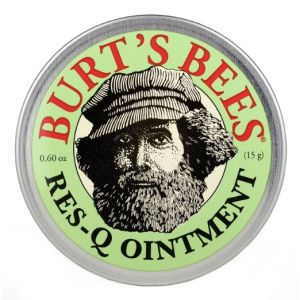 Burt’s Bees Res-Q Ointment is something a lot of people swear by. It’s inexpensive, and used topically on wounds and burns just like the other products. It is used for bruises, stings, cuts, scrapes and burns. All you need to do is apply a little hydrogen peroxide, then the Res-Q Ointment. That’s it. It is made from herbal ingredients which gives it that soothing feeling. Some of its natural ingredients include, beeswax, vitamin E, lavender oil, comfrey leaf and root extracts, cocoa seed butter and a handful of others. Some say it works better than Neosporin and allows wounds and scrapes to heal fast without getting infected. If you’re up to making your own anti-bacterial cream here’s a great one from Sarah Lipoff over at Pop Sugar. It’s an all-natural anti-bacterial cream that works well as an alternative to Neosporin. Sarah calls it the “Ouch Cream”. What a great name! Step 1: Melt the beeswax and coconut oil in a bowl. Coconut oil not only promotes healing but also comes with anti-bacterial and anti-microbial properties. Beeswax is used to help hold the cream together. Step 2: When the coconut oil and beeswax have melted together, remove from heat. Then, add tea tree and lavender oils. Both essential oils are antifungal and antibacterial. Lavender also has analgesic properties to help soothe pain. Step 3: Slowly add witch hazel to the concoction and mix using a hand mixer. Witch hazel helps reduce swelling and bruising as well as cleans wounds, acting as a natural astringent. Step 4: Spoon the mixture into a sealed glass container. And use topically when needed. For a complete step by step (with pictures) directions, see: PopSugar’s DIY Antibacterial Cream article. 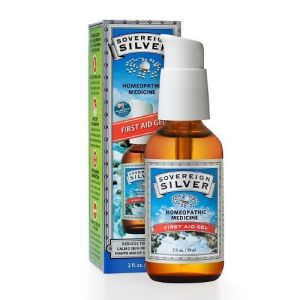 If you’re looking for a homeopathic alternative, try Sovereign Silver First Aid Gel. It uses the power of silver packaged in topic form to heal wounds and cuts. The product contains 98% positively charged silver to heal various types of skin issues including inflammation, pain and fight minor skin infections. It is designed to take the place of burn ointments, antiseptic creams, acne creams and calamine lotion, in one package.